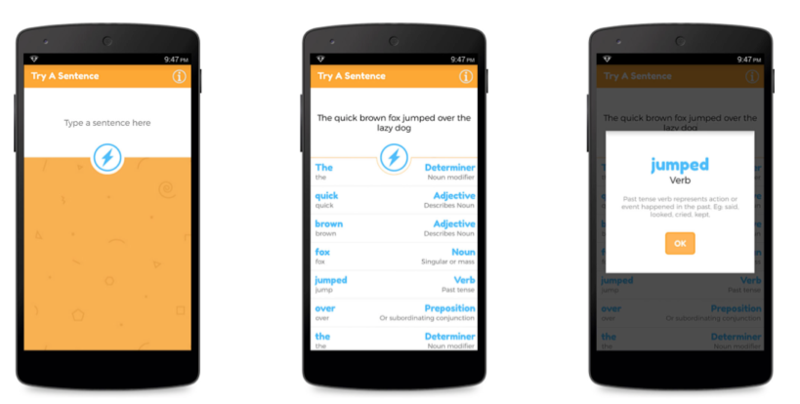 NounShoun is the world's first "Do it Yourself" english grammar App for Android built on Artificial Intelligence that helps anyone learning english to identify the Parts of Speech (Nouns, Verbs, Preposition etc) of any sentence. Once you enter the sentence it is evaluated and part of speech are found. The description of the various part of speech are also available.